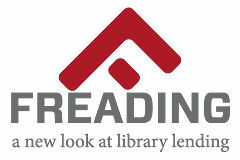 Freading is one of the Library's eBook collections. eBooks are available in ePub and/or PDF format. Click on the logo to access Freading. Overdrive is a FREE online digital media service available to all patrons. Overdrive is accessible with a Westchester Library card. A patron may download, checkout, organize, burn and transfer best-sellers in digital format. Try out the newest in library technologies in the comfort of your home! Overdrive Advantage are titles specifically purchased for Mount Kisco Public Library card holders. Note: At-home access to items marked with an red indicating access is limited to Mount Kisco cardholders. OneClickdigital is a new audiobook download service being offered to InfoSoup library card holders. OneClickdigital provides access to more than 3800 always available audiobook titles published by Recorded Books. Freegal is a downloadable music service that the Westchester Library System subscribes to. All you need to access the service is your Westchester Library card. You do not need any special software to use the service and all songs are in MP3 format with no Digital Rights Management (DRM). Since February 2000 the Brown Bag Book Group has enjoyed reading a wide selection of entertaining and thought-provoking books. Martha Iwan, Reference/Media Librarian, enjoys working with diverse readers who are always ready to tackle an interesting literary challenge, old or new! All adult Library patrons are welcome to join our group and experience the joys of discussing and sharing adventures in reading. As an informal group, we take turns picking our favorites to discuss during the monthly meeting, rather than maintaining a set reading schedule. Below are some of our recent choices and upcoming titles. Contact: Martha Iwan, Reference/Media Librarian/Book Discussion Leader at (914) 864-0136. The library's Job Information Center contains materials on career planning, resumes, small business and more. 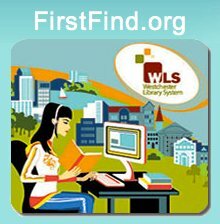 FirstFind is a website that connects you to useful information and tools about education, jobs and families. Firstfind also provides links to agencies in Westchester that can give you more information and help about these topics. Click on the logo to the left for more information. Whatever your goal, LearningExpress Library's resources will help you succeed. Each of our Learning Centers offers the practice tests, exercises, skill-building courses, eBooks, and information you need to achieve the results you want at school, at work, or in life. Looking to land a job? You'll find an entire Learning Center dedicated to helping you get the one that's right for you. Facing a difficult work situation? Need help planning or managing your career? Thinking about work options you have after 50? Westchester Library System (WLS) runs specialized programs with trained professionals to guide you in your career path. It is the responsibility of the borrower to confirm hours of operation, parking fees, etc. A new art exhibit can be enjoyed monthly in the Community Room on the second floor of the Library. Information on the scheduled exhibits can be found on the Library calendar. Click for Complete Calendar or by calling the Library at (914) 666-8041. Artists wishing to exhibit can complete the Art Exhibitors' Contract (on the right) and return it to the Library.